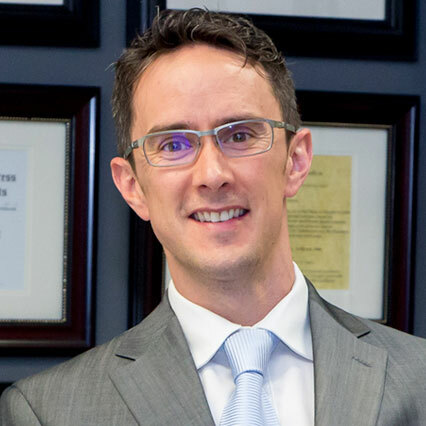 Dr. Sean Sinasac first earned his honors degree in biology from the University of Windsor in 2000. Four years later he graduated in the top of his class, earning is Doctorate in Dental Surgery from the University of Detroit Mercy. He has been accredited and worked in both the United States and Canada, joining the Amherstburg practice in 2009. While working professionally, Dr. Sinasac strives to stay on top of dental techniques, materials and development. He has been honored for this hard work and commitment to continuous education; being awarded several outstanding designations. For his significant and unique work with dental implants, he was awarded his fellowship honors by the International Congress of Oral Implantologist. As well, for his overall knowledge and commitment in general dentistry, Dr. Sinasac has been honored with a fellowship by the very prestigious Academy of General Dentistry. Recently, he has attend and successfully graduated from the instructors institute held by the International Association of Orthodontics. Dr. Sinasac feels this to be one of his greatest honors to date as the institute is only held once every five years and only 150 individuals are invited to participate worldwide! When Sean is not at work he is often busy with family. He and his wife have 3 children who enjoy being active. It is common to see him on the bench coaching hockey at the arena, or spending time at the dance studio with his daughters. When spare time does come around, Sean really enjoys being active outside no matter the season, or playing hockey himself. 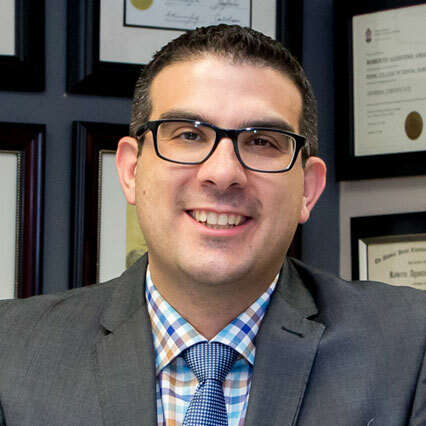 Dr. Roberto Amato earned his undergraduate degree in Biochemistry and Biotechnology from the University of Windsor, his Masters degree in Biotechnology from the University of Toronto, and his Doctor of Dental Surgery degree from the University of Western Ontario. He has a wide range of experience and has treated under serviced populations through the Dental Outreach Community Service Program, Pediatric Summer Program, and Oral Health Total Health Initiative for patients with special needs. Dr. Amato is a full time member of the Rivertowne Dental family and enjoys practicing all aspects of general dentistry. His passion for dentistry is evidenced through his various continuing education courses. Most recently, Dr. Amato has become a certified Invisalign Provider giving patients different options for straighter, healthier teeth. Dr. Amato prides himself on treating each and every patient with respect and loves to treat patients of all ages. Also, he is able to converse in Italian for those who require such services. While away from the office, Dr. Amato can be found spending time with his family and staying active. He continues to play organized soccer during the warmer months along with tennis, racquetball, and golf.